We’re proud to endorse a ballot measure for this November that will help put vocational and career technical education back into Oregon’s high schools. Oregon urgently needs to develop a bigger and better pipeline of skilled, trained workers. But years of budget cuts to our high schools have eviscerated vocational and career technical education for a generation of students. Now, Oregon employers can't fill good-paying jobs for local skilled workers because there aren't enough of them with the skills for manufacturing, engineering, computer coding, electrical work, construction and more. And Oregon’s high school graduation rate just dropped from 4th lowest to 3rd lowest in the country. 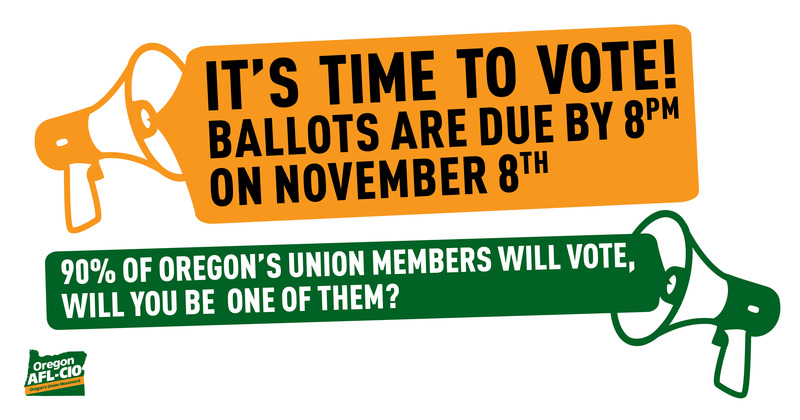 Help ensure Oregon voters vote to better prepare our high school students for careers, college and life -- please add your name to Measure 98’s list of supporters. Ballot Measure 98 will help restore and expand vocational and career technical education and college prep classes in all Oregon high schools, and fund more career and college counseling for students. Measure 98 doesn’t raise taxes or cut funds from existing services. With the state’s population and economy growing, Oregon is already set to collect over $1.5 billion in new tax revenue. Measure 98 dedicates a small amount of that new money, $147 million / year, to career technical education and college prep. That’s just a little over 1% of the entire state budget. 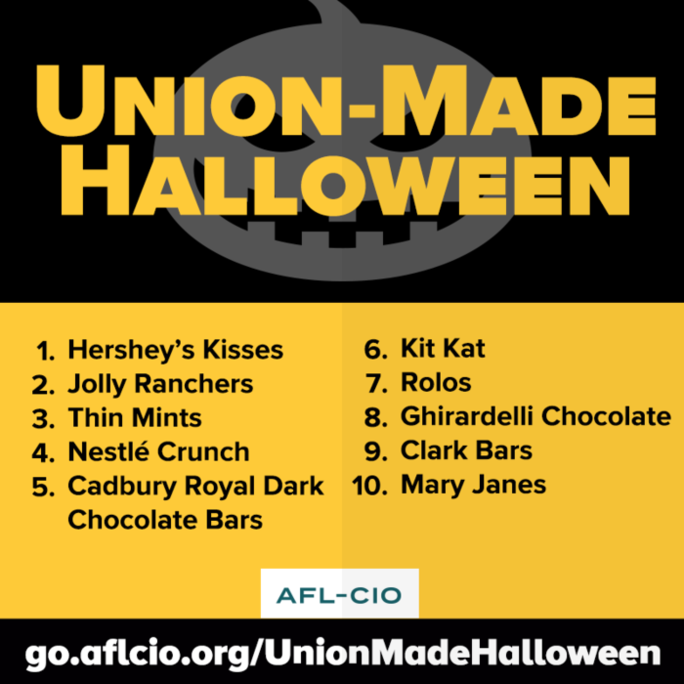 If you want your Halloween to be all treats and no tricks, make sure all your candy is union-made in America. The Los Angeles County Federation of Labor's resource site, Labor 411, has a list of union-made candies, as does Union Plus. Oreos Note: Remember to CHECK THE LABEL on Oreos and all Nabisco-brand products and DO NOT BUY Made-in-Mexico Nabisco products. Find out how here. Renew, IBEW Local 48’s young workers’ group, is collecting blankets, warm clothing, shoes and cash donations this year to help the Union Gospel Mission. Drop your clothing off at IBEW Local 48 or the Oregon AFL-CIO before December 9. Older PostWeekly Update: Who Has Our Back?